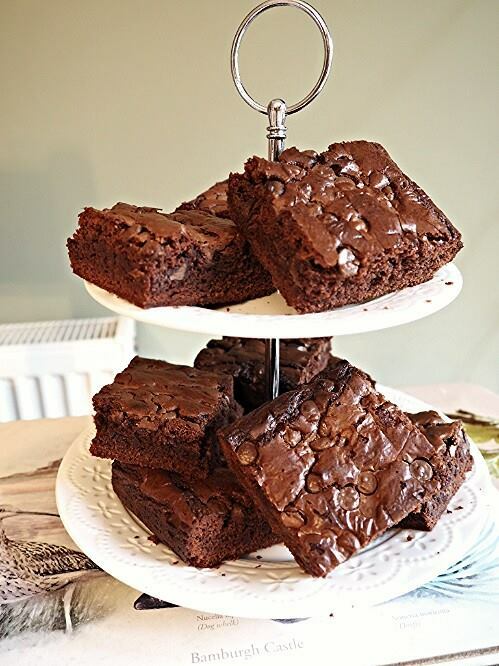 *Recipe* Chocolate Chip Nutella Brownies! Why not give them a try. Warning*** They wont last long. Makes 15 large Brownies or 30 finger slices depending what way you want to cut them. *Place mixture in a square tin lined with grease proof paper. *You can add chocolate chips to the top of your mixture when its in the tin or you can add them in while mixing ingredients together (or both). *Put in the oven for 25mins at 180oc or until skewer test is clear of mixture. *when cooked place on a wire tray to cool before cutting.